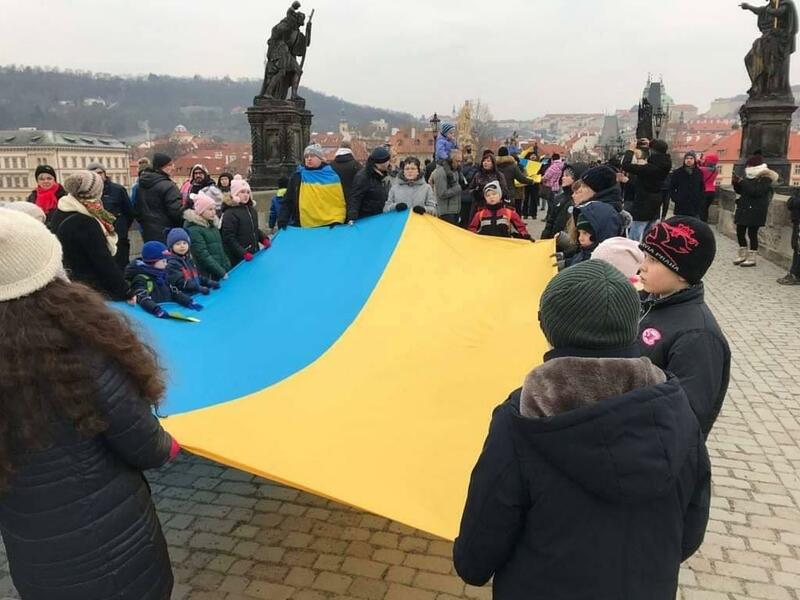 The Act of the reunification of the Ukrainian People's Republic and the Western Ukrainian People's Republic was proclaimed at Kyiv's St. Sophia Square on January 22, 1919. 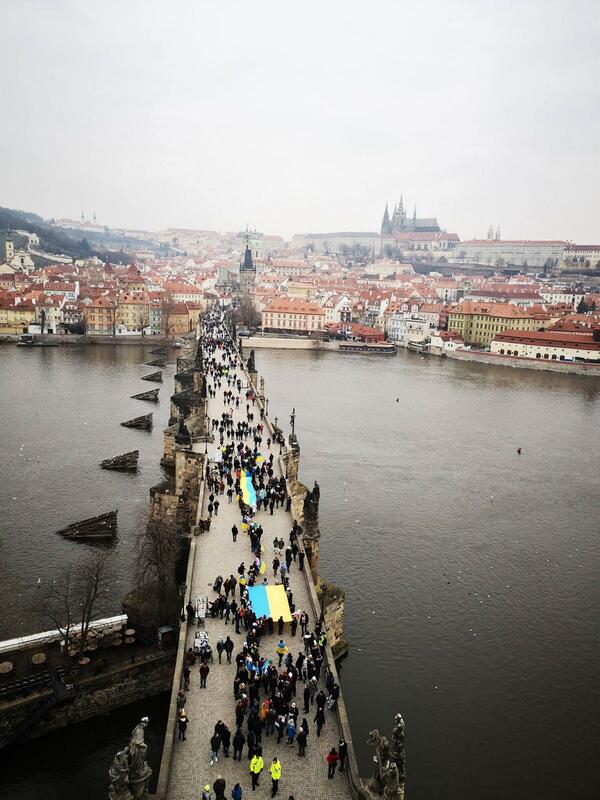 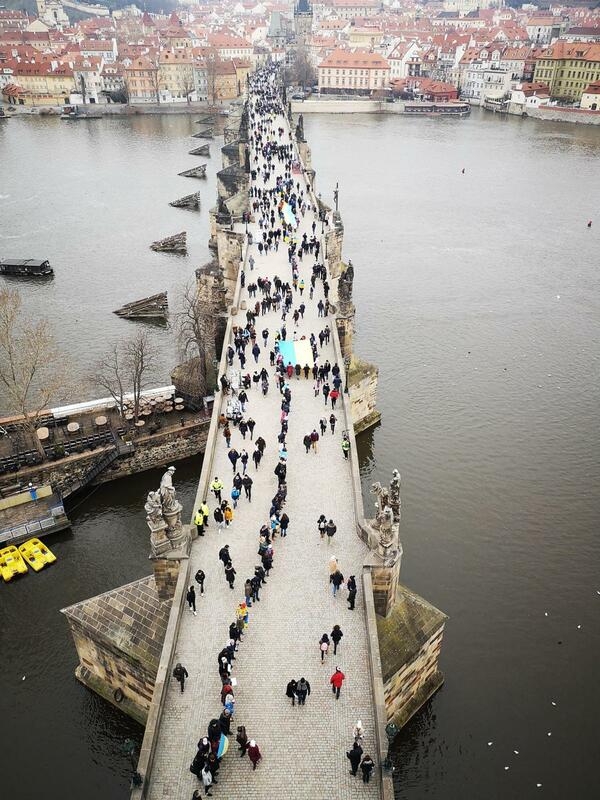 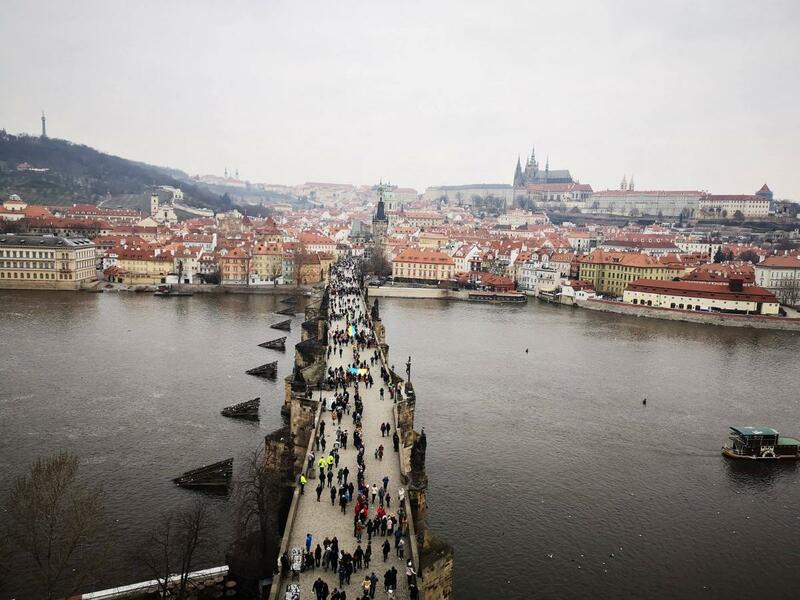 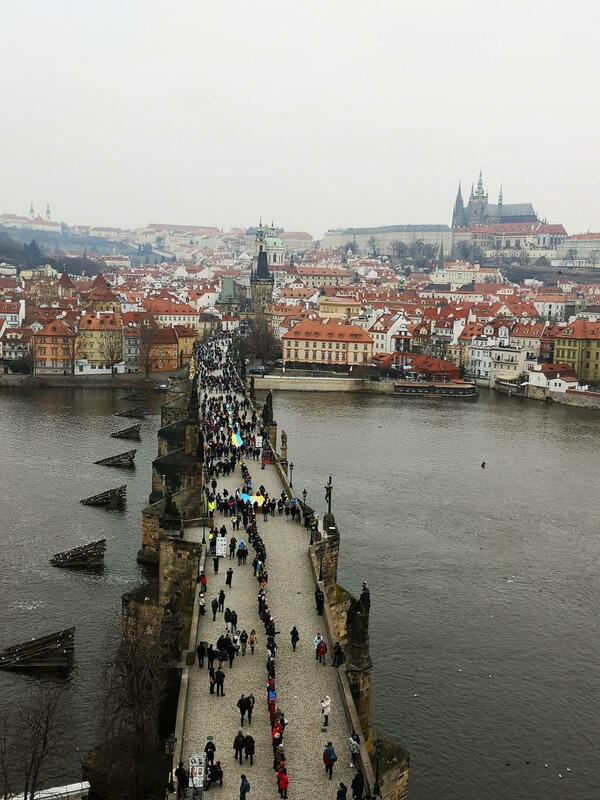 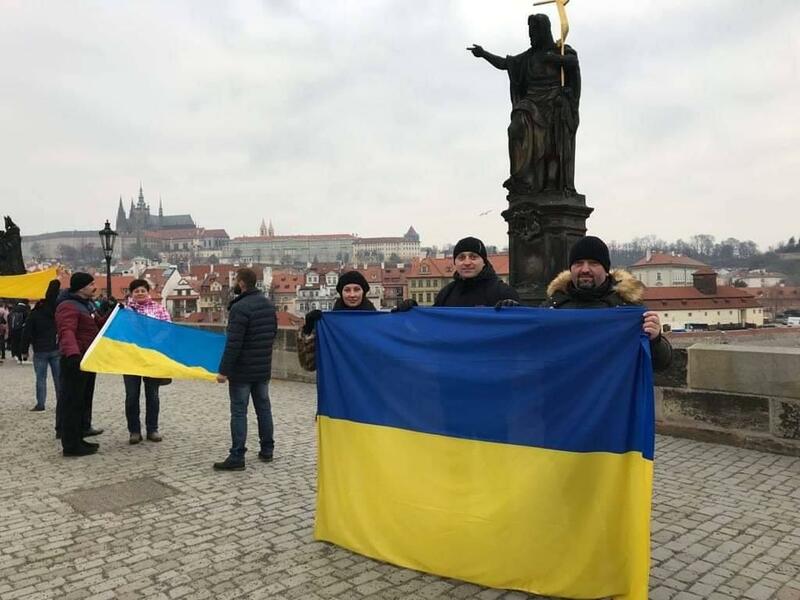 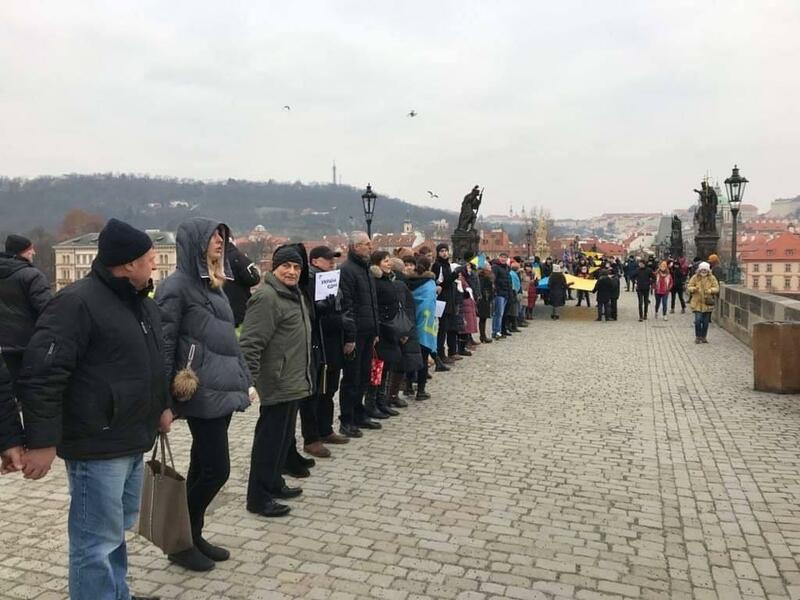 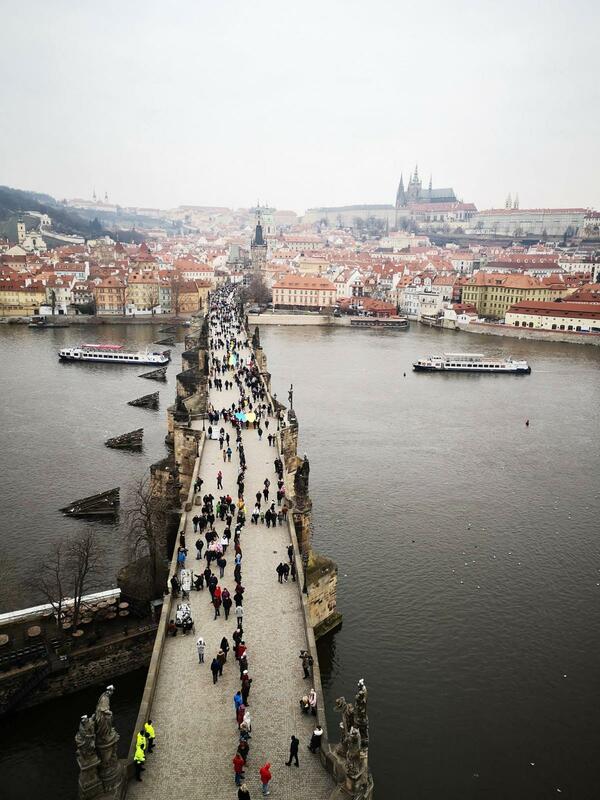 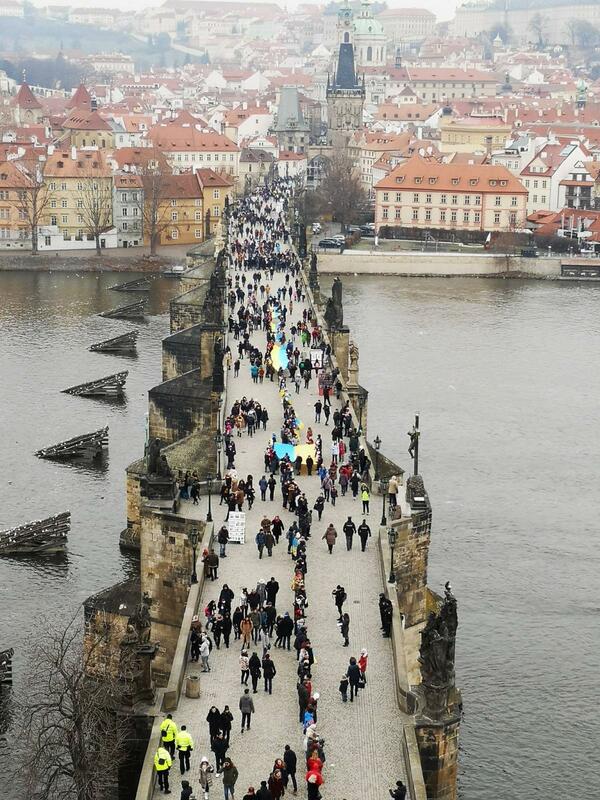 Several dozens of Ukrainian nationals formed a human chain across the Vltava River on Prague's Charles Bridge on the occasion of the forthcoming Ukraine's Unity Day, which is celebrated on January 22. 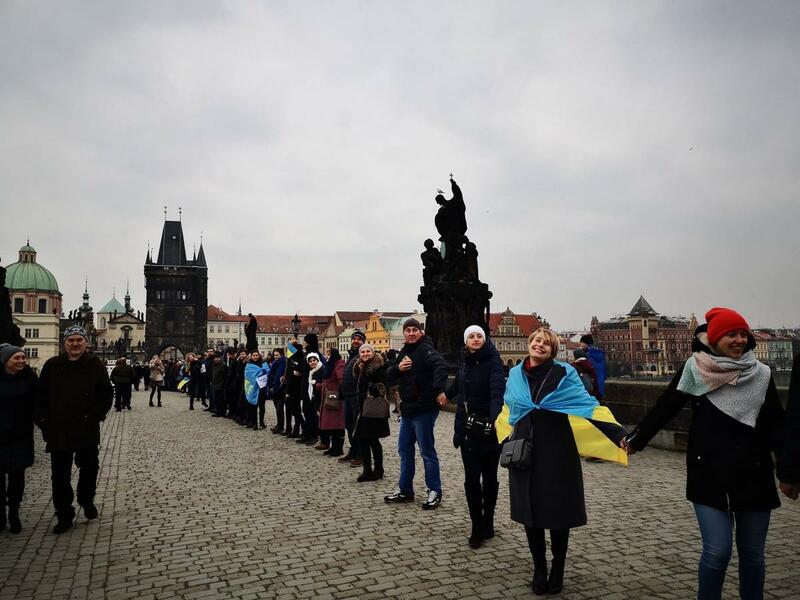 "Today, Ukrainians from different parts of our state have joined hands and formed a human chain of unity on the Charles Bridge in Prague. 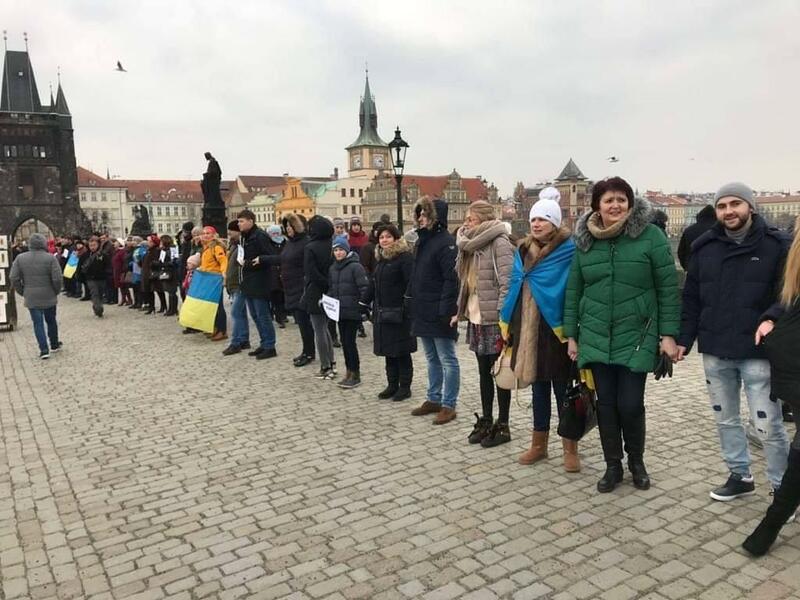 The rally took place in solidarity with Ukraine, where Right-Bank Ukraine and Left-Bank Ukraine [historical and territorial names for parts of modern Ukraine on the right (west) and left (east) banks of the Dnipro River] are symbolically united annually via a human chain on Kyiv's Paton Bridge. 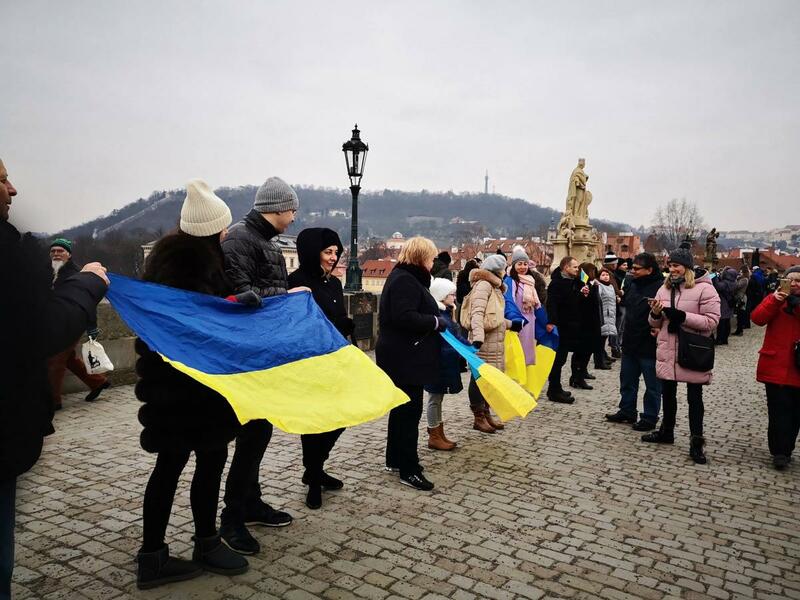 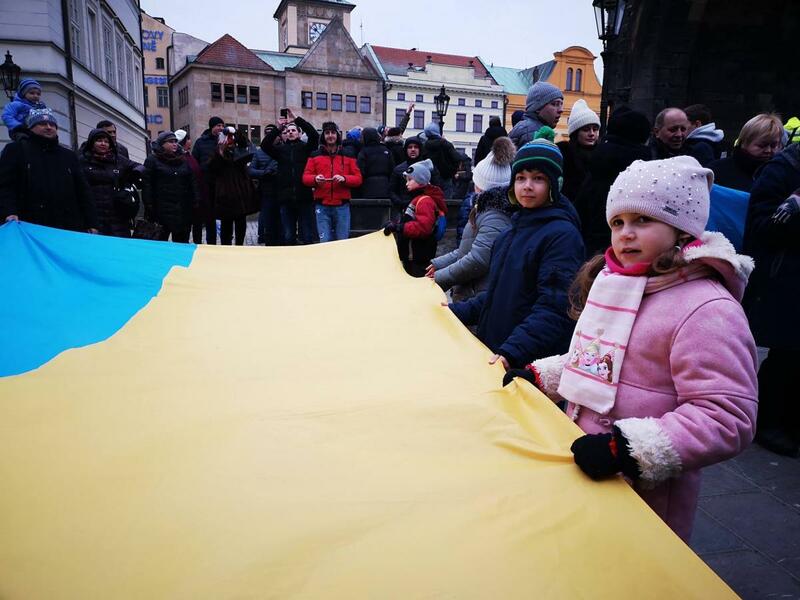 In such a way, local Ukrainians joined the celebration of Unity Day and the 100th anniversary of the proclamation of the Act Zluky ['Unification Act']," the Embassy of Ukraine in Prague wrote on Facebook on January 20.